If a checkbook cover just doesn't have enough space for you, then our Checkbook & Card Holder with Divider might be what you're looking for. It combines the convenience of a checkbook holder with all the functionality of a wallet, giving you space for all your essentials. Made with genuine leather inside and out, this Checkbook & Card Holder with Divider gives you a durable holder for your checks with an expandable pen loop that can accommodate any writing instrument. In addition, we include a plastic divider, 5 slots for credit, debit, or business cards, and an ID window with a thumb slide for quick access. This means you can carry all your payment cards, your checks, and your ID in one spot, making organization easy. Life's complicated enough already - let us help simplify it with our Checkbook & Card Holder with Divider! I needed a replacement for a default cover I got from Chase Bank. This was more than I was looking for and I love it. You will not be disappointed. Luxury feel along with 22K Gold. Idk how to care for it but if I need another I know where to go! And I will tell everyone I know, a perfect gift for someone else or yourself. This Company is doing a great job! From the ordering process to receipt of item was no less than stellar...quality item, efficient service & impressive packaging. I would certainly recommend Leatherology to family and friends. This checkbook has everything I was looking for. Its big enough to fit my checkbook and my register, with enough pockets and slots to hold cards or receipts or any notes. And the pen holder really makes it. The quality really is fantastic, great leather and stitching. The pen holder seems to be very durable and stretches out for bigger pens. Got it monogrammed for myself and I really couldn't be more happier with it. I do recommend getting the divider even if you do not have transparent checks. It makes it better when writing checks, especially if you have any cards in the slots. Pricier than I wanted to pay, but well worth it. It is SO DIFFICULT TO FIND A COMPLETE checkbook cover with a flap to write checks. This is a VERY nice one!! 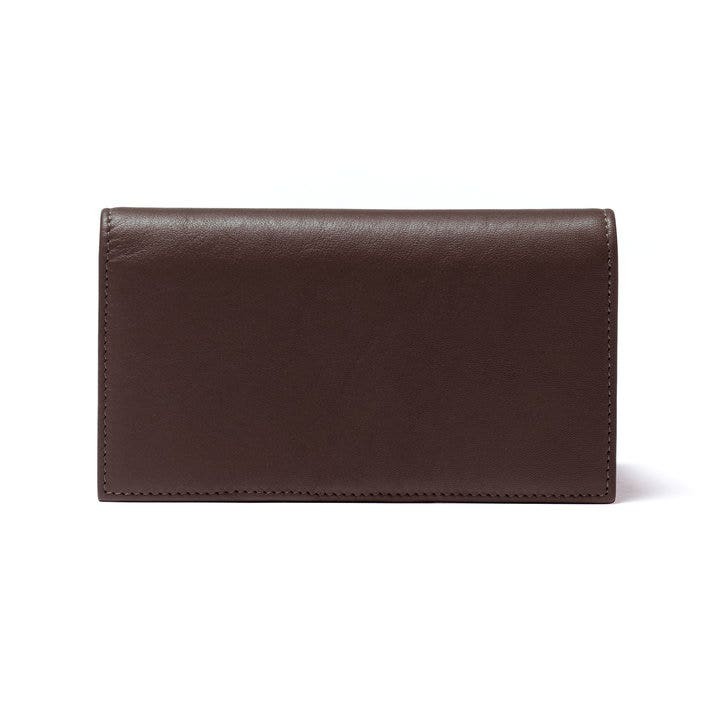 This is an excellent product with high quality leather. I had the checkbook monogrammed for my husband and it is exquisite. I would definitely order from Leatherology again. This was a Christmas gift for my Dad. The leather has a beautiful color and feel. There are plenty of pockets for his cards, ID, and checkbook - he carries the entire thing in place of a wallet. I think his favorite part is his initials on the front corner. It also came beautifully packaged, so nice that it actually didn't even need wrapping paper. I will be shopping with Leatherology again! Product arrived quicker than scheduled!